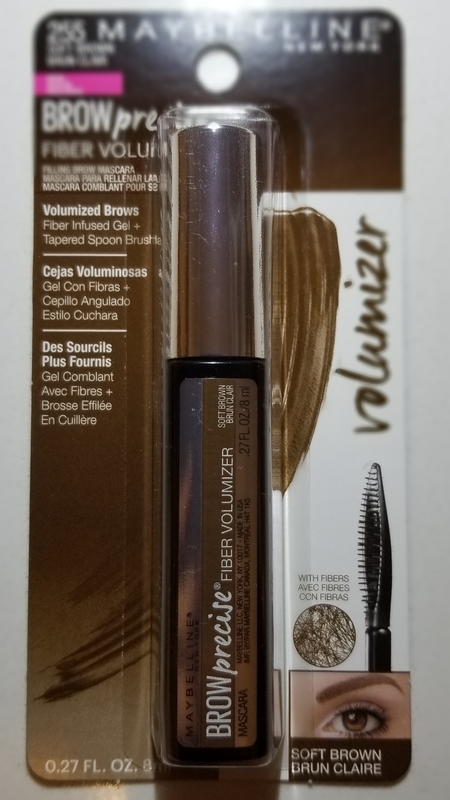 I received this product for free to review-however my opinions are still my own! 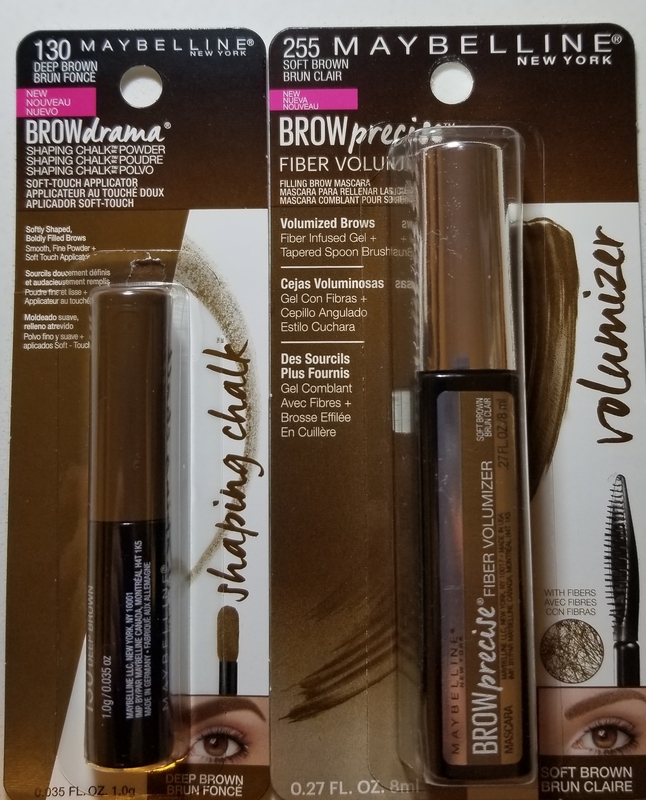 As part of Chick Advisor’s Product Review Club I was sent 2 Maybelline New York brow products: Brow Drama Shaping Chalk and Brow Precise Fiber Volumizer. I’ve wrote about my brow envy before and for the past 2 years have been trying to undo the over plucking from the 90’s to get fuller thicker brows. 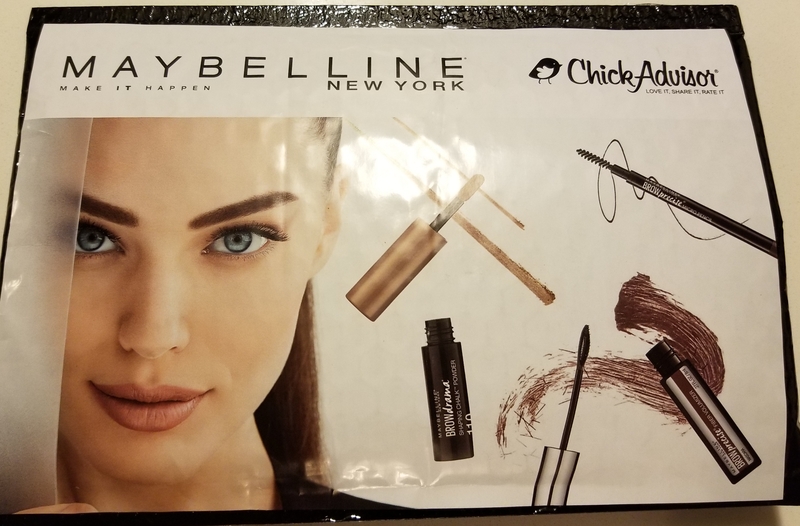 As I’m already a big fan of Maybelline brow products, I was excited to see what new bag of tricks they had to offer. The loose powder formula fills in smooth color, while the thick-to-thin brush applicator creates instant definition. Flawlessly shaped brows are made easy. The actual shaping chalk is a really nice product. I find it to have a better consistency, coverage and longer lasting than the similar products that are a powder. Unfortunately for me the application brush is terrible to work with. It’s oddly shaped and awkward to work with. I end up having to get a q-tip to shape it into my brows so I don’t look like a cartoon. It does last all day like they claim, which is really nice. Maybe if you already have nice think/full brows it will work for you? But for me there are better and easier to work with products on the market. Brows get a three-dimensional WOW effect. Maybelline’s fiber-infused gel formula adds volume and color for an instant brow boost. The tapered spoon brush delivers precise application from corner to corner. I really really like this product. The unique shape of the brush allows it go to on looking natural and easy to blend into my natural brow hair and shape. It dries fast and lasts throughout the day. I find this to be much better and more natural looking than the mascara style products on the market. It’s also quick and easy to apply which is always a huge selling point for me. In my opinion this product is definitely worth checking out. This entry was posted in Beauty and tagged Brows, brows that wow, cosmetics, eyebrows, fiber, makeup, Maybelline, Powder, volumizer by maldham. Bookmark the permalink. Glad to hear the Brow Precise Fiber Volumizer worked for you! I didn’t have as much luck, unfortunately. It’s funny how different products work for people differently. I still want to just get mg brows tattooed so never have to think of them. Both of these sound really interesting!